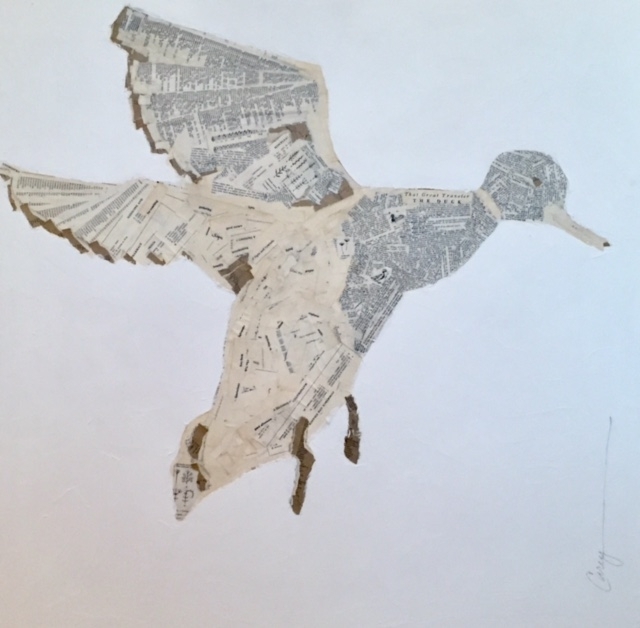 The beautiful duck was created with the words and pages of an old Dictionary. Created in flight to capture its beauty and grace. Bright is a mixed media piece with lots of layers of color and glaze to give its soft feel. Pastels, acrylic paint and their applications give it motion. Bakers day....eggs in the sink. Simple images that bring great joy! Encaustic color....soft to bright and vibrant this piece never finishes telling its story. Can be hung vertical or horizontal.